Article originally read on Entertainment Heat. 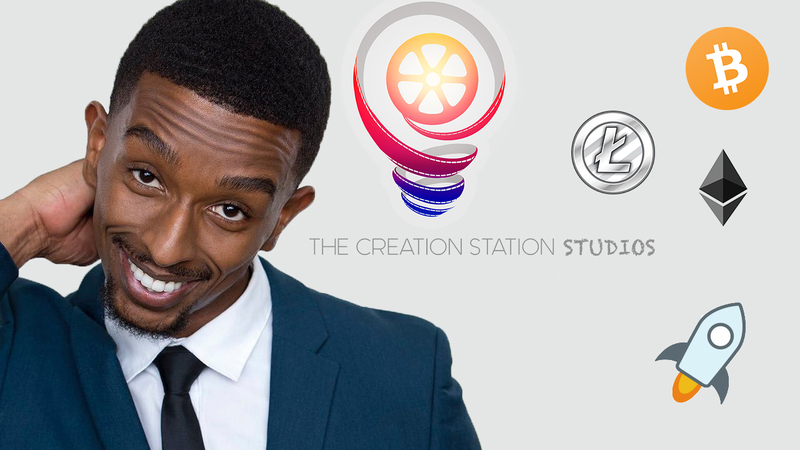 Founder/CEO of the Hollywood staple, The Creation Station Studios, Kevin L Walker, has announced that The Creation Station Studios locations will be accepting select cryptocurrencies (Bitcoin, Ethereum, Litecoin, XRP) as payment, with more to be added in the future. Walker is is an Actor/Writer/Serial Entrepreneur, known for his roles on Films and Television shows such as, Vigilante Diaries, Pope, and The Young and The Restless, and for founding companies such as, Retailopolis, Piiggy Bank Blockchain Labs, Creative Geniusess, Front Camera Cover, & The Creation Station Studios. While most people, businesses, banks, and governments are still trying to understand its purpose, how it functions, and how to even consider implementing it in relation to our centralized currency, Walker seemingly recognizes the importance of blockchain and cryptocurrency and other digital assets. Especially given his founding of, Piiggy Bank Blockchain Labs. “Cryptocurrency” is a digital currency/asset which is designed to work as an decentralized medium of exchange. It uses cryptography technology to secure and verify each individual transaction on the “blockchain.” A main motive behind the cryptocurrency market is to create a decentralized digital cash system, that does not require the governance by a central entity. I had the opportunity to speak with Walker regarding his announcement on March 21, informing fans and customers that he would enable the option for them to purchase services and products (Self Tape Video Audition Recording, Voice Over Audition Recording, Acting Classes, Coaching, Social Media Services, and more) using cryptocurrency such as, bitcoin, ethereum, litecoin, and bitcoin cash, with more to come. He shared his thoughts on the current state of the cryptocurrency market and why he has chosen to enter the market. People from all walks of life, from mothers & fathers to the average guy on the street, people young & old, 90% of whom are probably good, decent law abiding citizens use cryptocurrency in the growing market, and prices continue to rise as the crypto ecosystem continues to grow and flourish. Chris Kelley: Why do you think it’s beneficial for individuals and businesses to consider entering into the cryptocurrency market? Kevin L. Walker: Bitcoin has been around since approximately 2013. Since then its value has grown exponentially and several new generations of blockchain technology/cryptocurrency has been created. Bitcoin is simply a store of value in my opinion, where as XRP, Ontology, and Cardano offer things like smart contracts, decentralized applications, digital profiles, and even the opportunity to earn passive income by ‘Staking’ certain coins. I think blockchain technology & cryptocurrency is here to stay. Chris Kelley: What is your take on the future of blockchain technology and cryptocurrency? Since cryptocurrency’s inception, millennials have been investing their funds in various cryptocurrency coins and tokens, most notably, Bitcoin, Ethereum, Litecoin, Ripple, Cardano, and NEO. When asked whether fellow Millennials should invest in cryptocurrency Walker took this optimistic but responsibly cautionary tone. Chris Kelley: Do you think others should invest in the cryptocurrency market or stay away until things are figure out?